We believe that giving back to the community is very important. That is why we often give talks, lectures and workshops for the students. It is our way of paying forward to the IT community and all the brilliant people that helped make FSD what it is today - a successful company working on a global market. 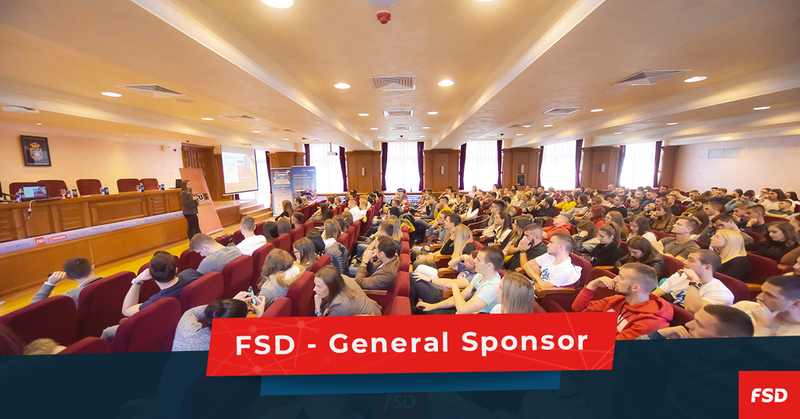 This time our team decided to sponsor the biggest students’ IT conference in Serbia, We are the future of IT. Almost 500 students of Information technologies from all over Serbia gathered in Zlatibor for four days of lectures, workshops and networking. They had a unique opportunity to meet some of the biggest companies in the region. Also they got to listen about the latest technologies and trends in IT such as Blockchain, Neural Networks, Machine Learning and AI. As a general sponsor of the conference, we had the opportunity to give multiple lectures as well as to organize a hands-on workshop. The first lecture was introduction to the blockchain technology, titled Blockchain!=Bitcoin. It served as an intro to the blockchain workshop and competition afterwards, where students learned how to make a distributed app on an Ethereum platform. After the competition, top three students got prizes and the two of them were invited to join FSD as interns. Later that day, our HR officer shared tips and tricks on how to find a job or an internship that is perfect for you. We were overwhelmed by the amount of people that attended our lectures and workshops, showed genuine interest in our company and gave us positive feedback. It is an incredible motivation to continue with the knowledge sharing efforts. We will continue to support talented, hard-working and ambitious students in every way we can.